49er’s tombstone safe from vandals. Lincolnite replaces gravestone... 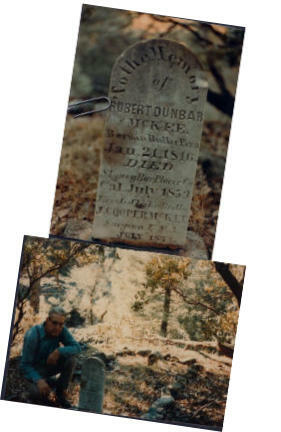 Stolen gravestone.. Robert McKee ancestry. To see how the grave stone looks today, click this image. 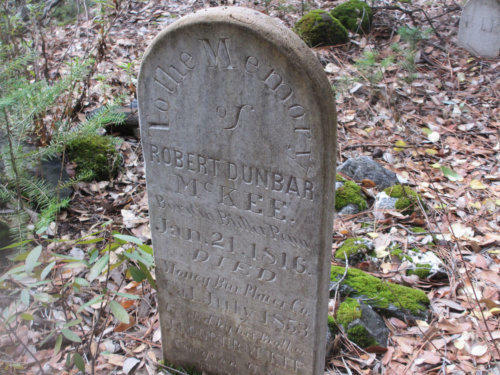 Lost and Found Robert Dunbar McKee’s original grave stone was placed in July 1853, at Stony Bar, a remote mining site located in the American River canyon, California. The original grave stone was photographed. Later the original stone was found missing and thought to be lost. In 1985 a new head stone.was made and installed by the Placer Conservation Corps. The original marker was subsequently discovered and buried in the vicinity of the original grave site. Read the documents to enjoy this fascinating story. 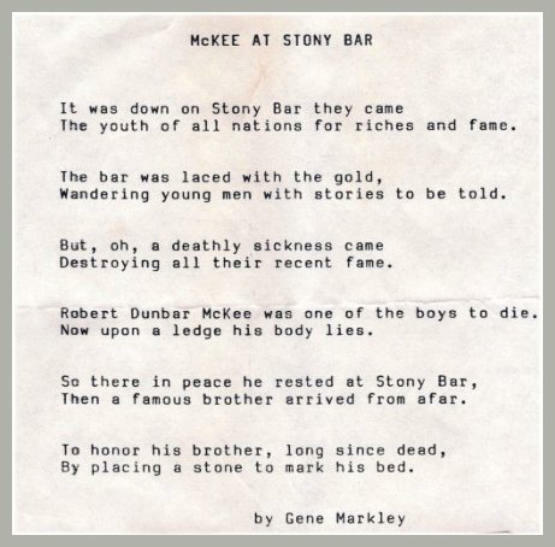 Gene Markley wrote a poem in memory of Robert Dunbar McKee. Click here to read it. 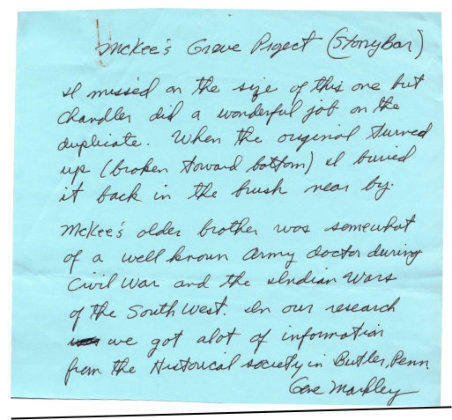 Note from Gene Markley’s files.